This contestants name is Xanny and I believe this is a GUMBALL Machine. I THINK I see a XannyBall for sale in there with the GumBalls. Thanks for the Entry Xanny. 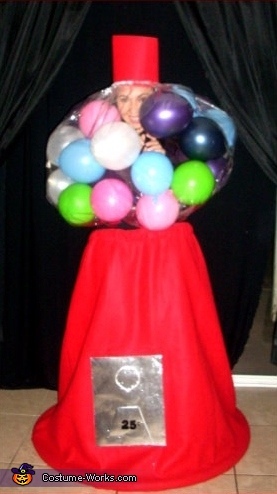 This homemade costume for adults entered our 2008 Halloween Costume Contest.